Holotouch claimed that Microsoft’s augmented reality device “Hololens”—a wearable computer built into glasses—infringes two of its patents, including U.S. Patent No. 7,054,045 (“the ’045 patent”). Microsoft sought to dismiss the complaint, in part, for failure to comply with the Supreme Court’s Twombly/Iqbal pleading standard. 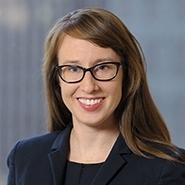 Holotouch, however, argued that “a more permissive version of the Twombly/Iqbal standard applies in patent cases” in the SDNY because the local patent rules already “require plaintiffs to disclose their asserted claims and infringement conditions early in the case . . . .” Judge Hellerstein acknowledged that “a minority of out-of-district cases have” so held, but he refused to follow them because “such rules cannot, as Holotouch contends, abrogate Federal Rules of Civil Procedure or cases of the Supreme Court.” Judge Hellerstein, nevertheless, “review[ed] the complaint on its own terms” and found that it raised a plausible claim for relief as to the ’045 patent. Judge Hellerstein went on to determine the proper starting date of one patent, U.S. Patent No. 6,377,238 (“the ’238 patent”), for calculating its expiration date. The ’238 patent issued on April 23, 2002 from an application filed in 2001 which was a Continued Prosecution Application (“CPA”) of a June 6, 1995 application which itself claimed priority from an application filed on April 28, 1993. 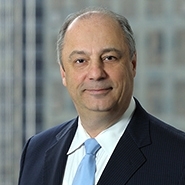 Judge Hellerstein noted that the Uruguay Round Agreements Act changed the patent term “from seventeen years from the date of issuance to twenty years from the date of filing of the patent application” unless it was in force or resulted from an application filed before June 8, 1995. Here, the ’238 patent would expire either on April 28, 2013 (20 years from filing of the first application) or April 23, 2019 (17 years from issuance) depending on whether the safe harbor provision applied. Judge Hellerstein held the safe harbor provision did not apply because the ’238 patent issued from a CPA application which “amounts to abandoning the prior application.” As such, the portion of the complaint relating to the ’238 patent was dismissed. The case is Holotouch, Inc. v. Microsoft, Corp., No. 17-cv-8717 (AKH) (S.D.N.Y. May 18, 2018).